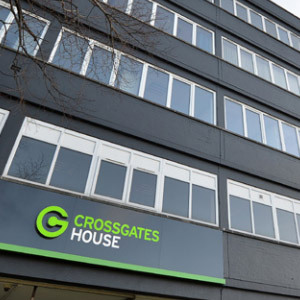 Crossgates House is a newly refurbished office building in the heart of Crossgates with fantastic transport links to Leeds. Accessed from a private ground floor reception area each floor provides high quality office accommodation. For further information about the accommodation, specification and floor plans, please visit the Crossgates House website.